Photo of Andrea at the 2011 AGS Conference by John O’Brien. It’s not her gravestone! The Association for Gravestone Studies (AGS) was founded in 1977 to further the study and preservation of gravestones. With approximately 1,000 members worldwide, the Association brings together a wide variety of people to protect and preserve graveyards all around the world. 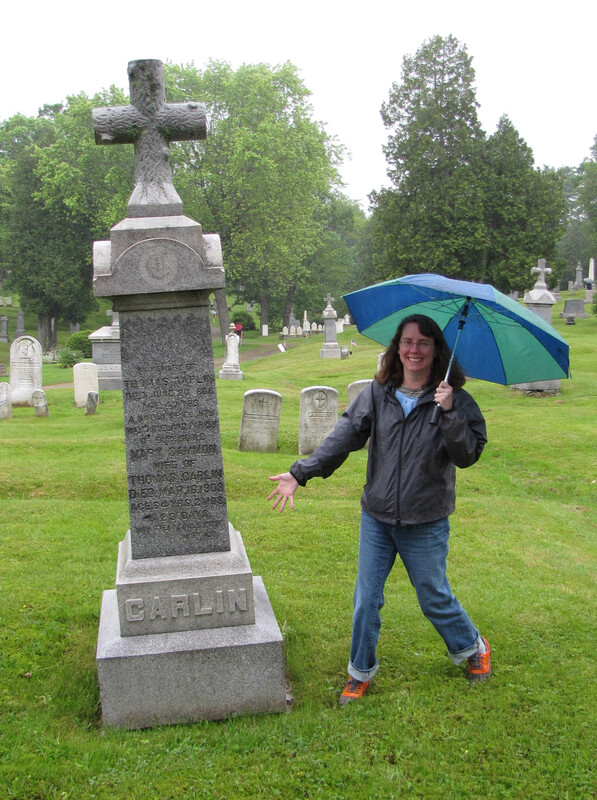 Andrea Carlin is the part-time Publications Coordinator, Senior Consultant, and volunteer secretary for the Association for Gravestone Studies. She lives with her fiancée, two cats, a dog, and lots of chaos in Greenfield, Massachusetts. When not working or taking care of pets, she walks around (or rollerblades in!) cemeteries. Cemetery Travel: How did you get interested in cemeteries in the first place? Andrea Carlin: I started working at the Association for Gravestone Studies in 1999 and it was, at that time, just an office job for me. After attending conferences and becoming friends with AGS members, I eventually was hooked. Cemetery Travel: You’ve been involved with AGS for years. What all have you done for the group? Andrea Carlin: I started out as an office assistant, was the administrator for a while, but had to leave that position to take a full-time benefitted job. I still work for AGS, though: I create the e-newsletter and design the Quarterly. I oversee the office activities, so our poor staff person isn’t all by herself and left to figure out how things are done. I’m currently the secretary of the board of trustees. That’s a volunteer position. I also help organize our local chapter meetings. I love it all! Cemetery Travel: Who are the members of AGS? Andrea Carlin: All kinds of folks, from conservationists, academics, historians, photographers, people with Goth-type interests, genealogists. That is one of the things that is so cool about AGS: it brings together people who might not connect otherwise. Cemetery Travel: Why should someone new join? Andrea Carlin: Fellowship! The conferences and chapter meetings are great. Everyone is welcoming and friendly. I love that they always have a wide variety of topics presented, so even if there are things that aren’t your cup of tea, it’s guaranteed there will be other things that you are into and/or want to learn more about. Plus, in my own case, every time I go to an event, I learn about something that I didn’t think I would be interested in. 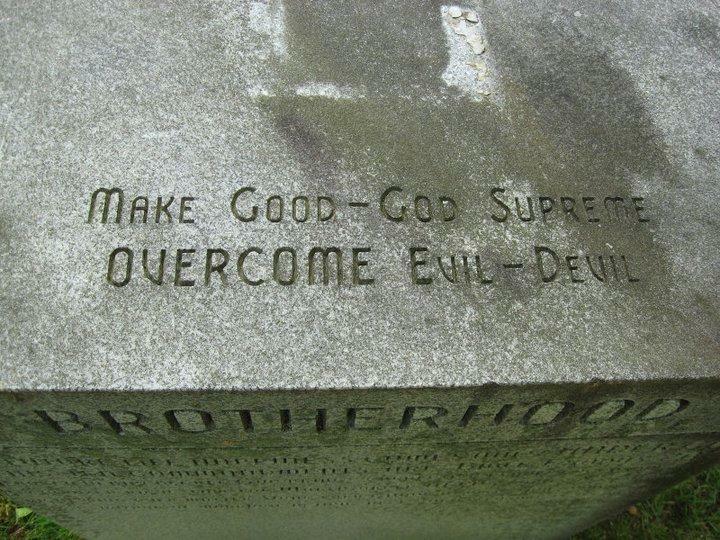 Epitaphs, for example, and stone types. The publications are great, too. They also have a wide variety of material. Cemetery Travel: What’s the best thing that AGS does, in your opinion? Andrea Carlin: Conferences, workshops, and chapter meetings! Cemetery Travel: Do you have a particular passion in Gravestone Studies? Andrea Carlin: Like a lot of other AGSers, I love kooky gravestones. I collect food and body part gravestones. I also like to take photos of gravestones that are humorous—sometimes intentionally and sometimes not. I really enjoy exploring modern gravestones. I love how personalized they can be these days. Cemetery Travel: Do you have a favorite tombstone? Andrea Carlin: There are too many to name! I love all of my food and body part gravestones. 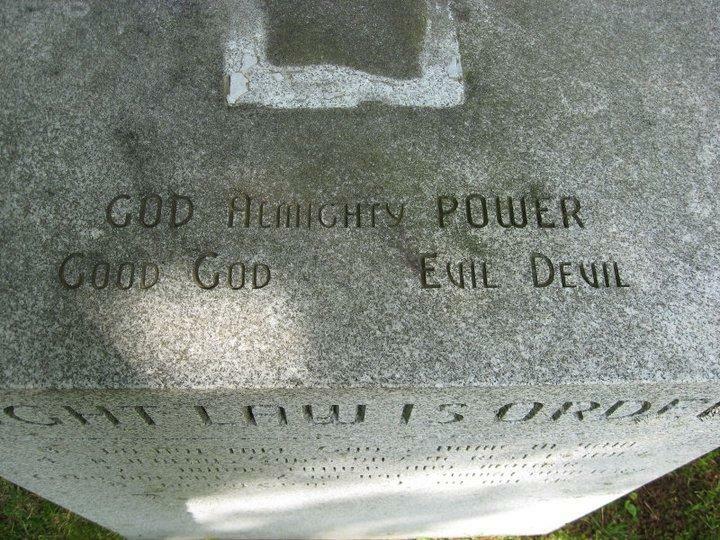 There is a strange stone in one of my local cemeteries that I can’t find anything about. It’s one of my faves because it’s weird and I don’t know why. Cemetery Travel: Why should people care about cemeteries? Andrea Carlin: It’s history. It’s too bad that a lot of people just don’t see that. They are so often neglected and vandalized I like that when I mention my hobby, people usually go from “how weird” to “how cool.” And then they look at cemeteries with a new appreciation. Cemetery Travel: Anything else you want to mention? 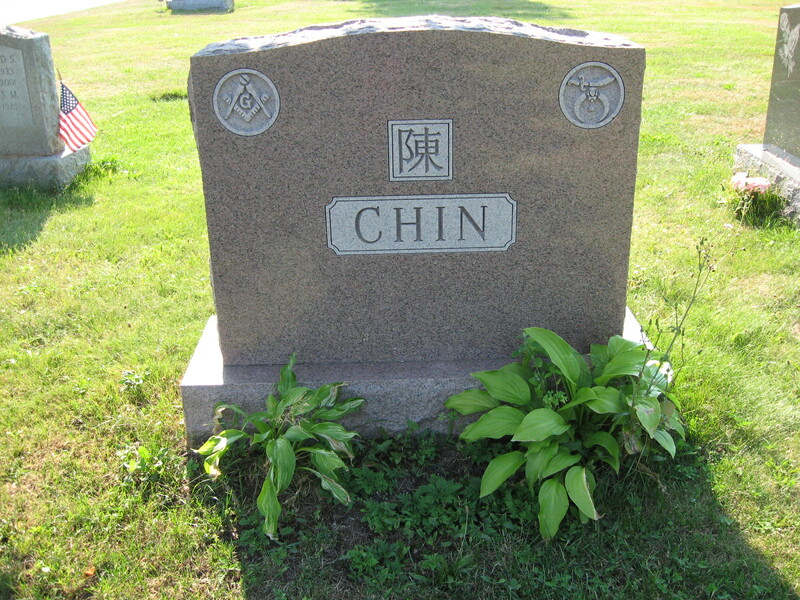 This entry was posted in Cemetery interview and tagged Association for Gravestone Studies, epitaphs. Bookmark the permalink.